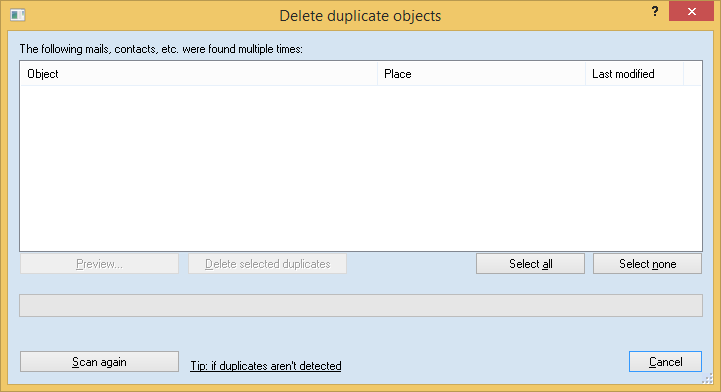 As free bonus Easy2Sync for Outlook contains a small duplicate scanner that can remove 100% identical duplicates. Since this function uses the configuration data from the task, it's necessary to create a task first. You can find tips the for recognition of duplicates and for problems here. Furthermore we offer 1-Click Duplicate Delete for Outlook, a separate product which is very easy to use and can find and remove duplicates AND similar objects without problems.